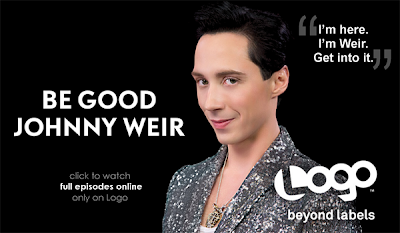 The Best of Binky's Johnny Weir Blog: "I'm Kind of a Tchotchke"
plus video AND transcript below! 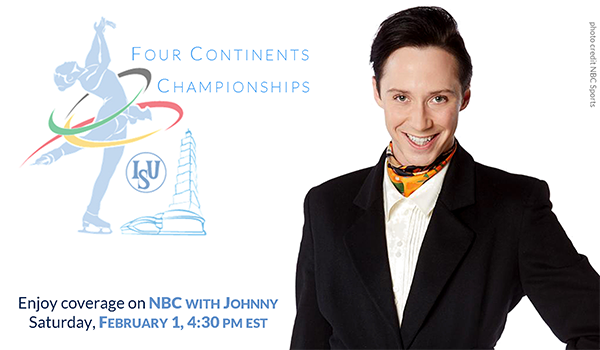 (1) He’s commenting on 4CC today at 4:30 pm EST on NBC! Check local listings and don’t miss it! 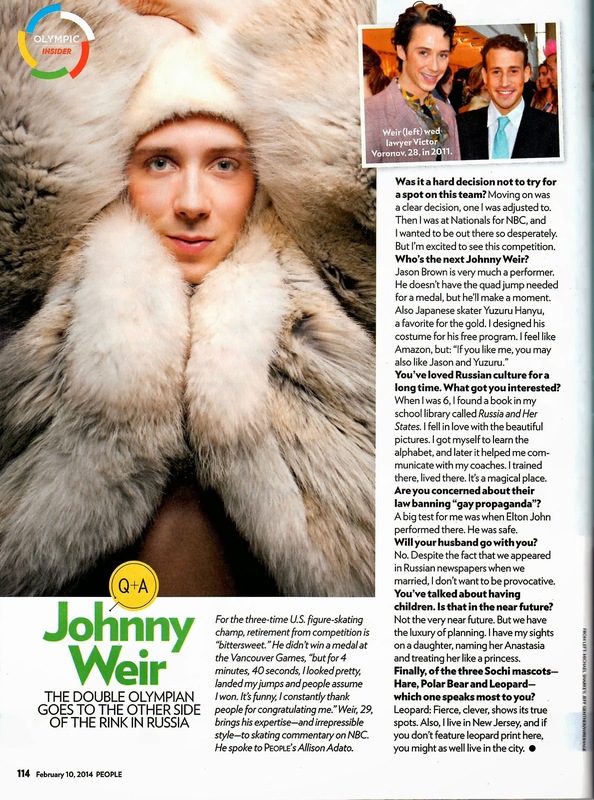 (2) He’s on the cover of Newsweek! In a fascinating piece on the deeply closeted environment of male figure skating in the US, Johnny serves as a testament to the power of being himself despite disapproval from the skating Powers That Be. A must-read with some excellent quotes from Welcome to My World. Please click twice for readable view. 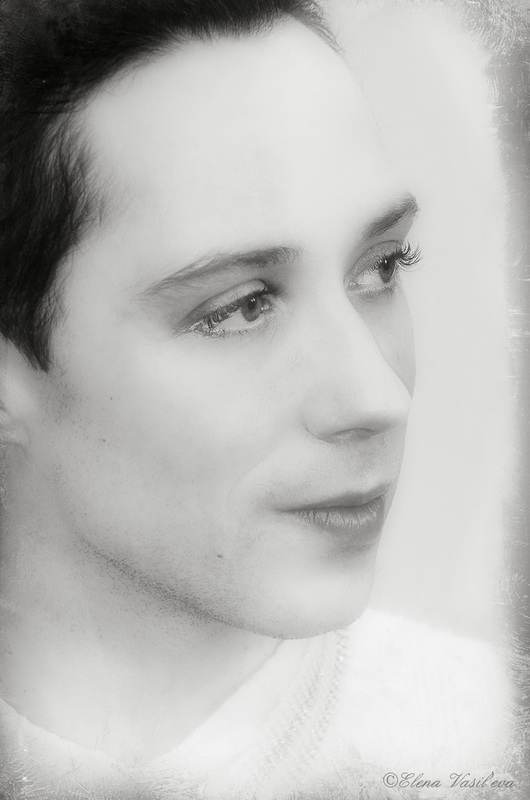 American figure skater Johnny Weir spoke with quiet dignity and intelligence about his sport and the broader political context in which he will be participating in Sochi. He revealed that in Russia, as a skater, he is admired because Russians believe it’s a manly sport, but as a gay man people like Putin revile him. He’s an interesting guy — fluent Russian speaker, married to a Russian and opposed to a boycott of the Games — and worth an hour to himself. Video below following thse brief but fabulous screencaps! “Once an Olympian, Always an Olympian. His Most Benevolent Lordship, Sir Sparkles-a-Lot. (but may be geoblocked), or here. Dan Snow: I wonder if the Lunns [a British family who played a significant role in the Games during the 20th century] could get their heads around the threat of a boycott of the Sochi Winter Olympic Games because of anti-gay legislation just passed in Russia? 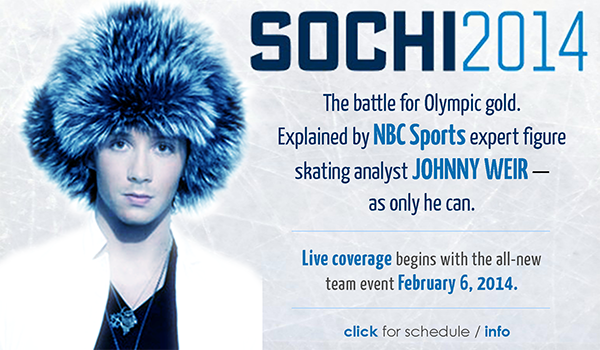 Johnny: I am an American Olympic figure skater. I’m a very—a very flamboyant gay man, if you couldn’t tell. 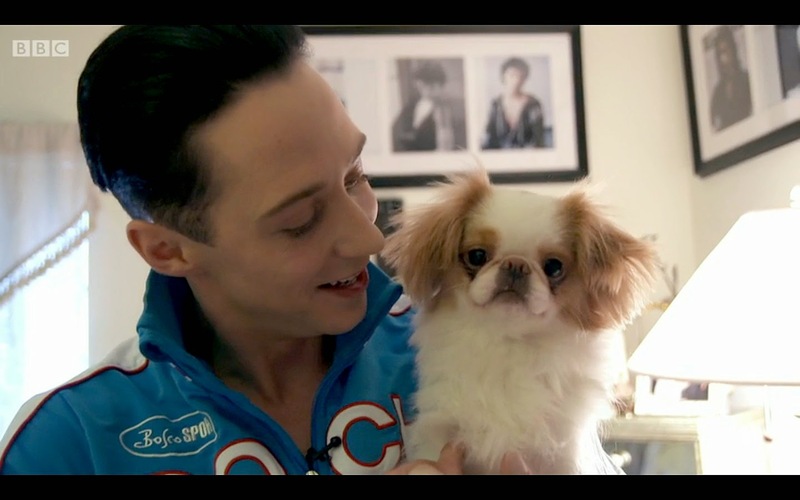 I am an athlete, I’m a husband, I’m a father to a beautiful puppy. DS: Sport and politics are intrinsically linked—unless, as Lord Carrington said, you’re living in a dream world. Sexual orientation is the battleground this time, and RUssia’s attitude to homosexuals the focus for debate. JW: [indistinct—Tatiana, please help me out!] Say hi to the BBC. Say hi to all the English people. From the outside, figure skating looks very flamboyant, and very... “gay,” to, you know, much of the Western world and lots of our country. 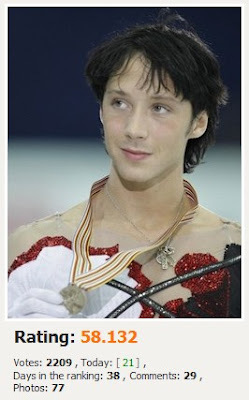 In Russia, a male figure skater is a man’s man. Russia is a place that I’ve been obsessed with since I was very young, and to say I’m a Russophile is kind of an understatement. I speak the language, I’ve married one of their people. When I go, I go to Russia as a celebrated athlete. I am treated very well. I’m kind of a tchotchke. 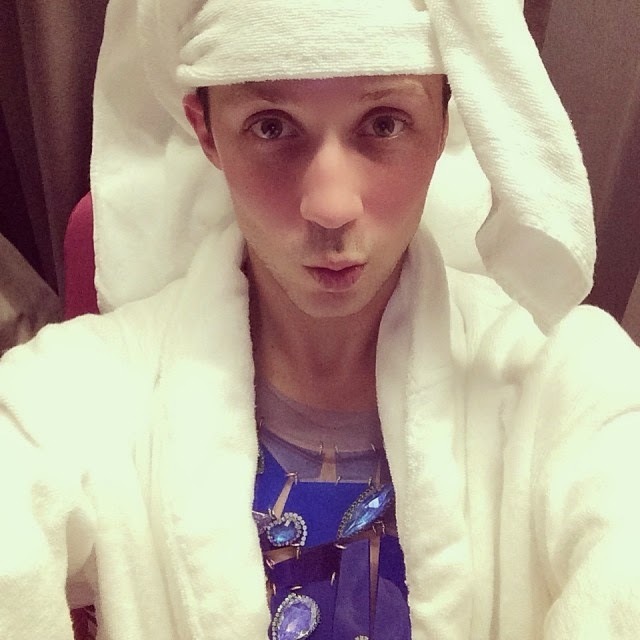 I’m a pretty, cute... thing that sparkles and shines and dances and entertains people. And in Russia, that’s not threatening. If I was going to Russia as a normal person, this is a time when I would have to rethink that. This is a time when I would be afraid. The laws against gay people at the moment in Russia are terrible. What is so terrifying about me and my people that you want to deny us rights and liberty and the ability to live freely? And I would ask the same thing of people that are against the gays in America. But I—I’ll never stay away from Russia. Even if they don’t want me there, I’ll make them have me there. Unless they deny me a visa. Follow the dream team on Instagram! Johnny here, Tara here, Tara and Johnny here! Via Johnny: "The mountains are so beautiful! So happy and grateful to be here. 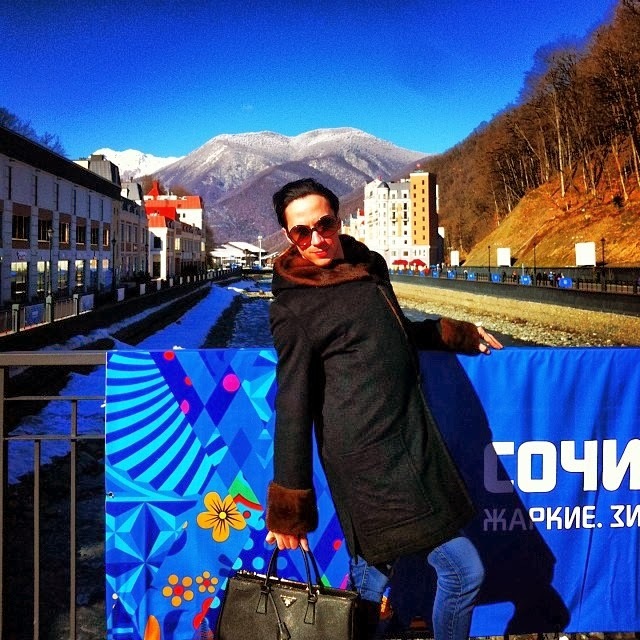 @ Роза Хутор Олимпия | Rosa Khutor Olimpia"
in my amazing @ericksonbeamon adornments! Ooh! I loved the video...I don't even know where to start as I write this. I love how he presented himself; so eloquent, beautiful and humane. My heart cries for him every time he says this: "The laws against gay people at the moment in Russia are terrible. What is so terrifying about me and my people that you want to deny us rights and liberty and the ability to live freely?" One thing though. I had thought that this was a documentary about him, only about him. So I had expected it to be longer. But this is absolutely better than nothing. 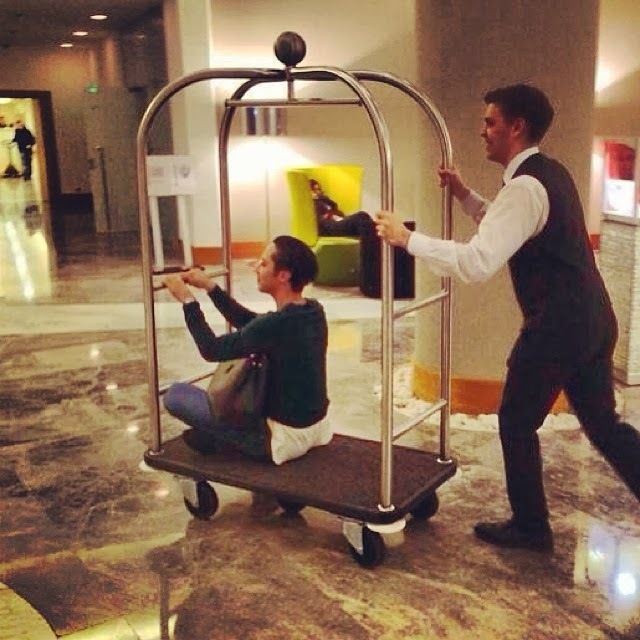 I was so worried about him going to Sochi (because of the attacks against the gay people there), but now that he said that he is treated very well there, I am not so worried any more.